Francis James Patrick Horan passed away on April 25th, 2017, at home with his loving wife and family by his side. He was born August 8th, 1927, in St. Albans, VT. He graduated from Bellows Free Academy St. Albans in 1948 and served in the US Army in Germany for 2 years during the Korean war. 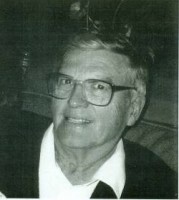 He was employed at the Franklin Lamoille Bank for 43 years retiring in 1991. During his career, he was he was a VP and Loan Officer at the bank granting many loans to farmers, small business owners and first time home buyers. He was also President of the Northern Chapter of the American Institute of Banking. He was an active community participant as a member of the American Legion, Champlain Country Club, Owl Club and President of the Vermont Senior Golf Association. Frank was instrumental in organizing and starting the Northwest Vermont Public Transit Network and was a board member and trustee of the Network. He helped create and organize the BFA alumni scholarship trust fund and was treasurer of the BFA alumni working to establish the scholarship. Needless to say, Frank was an avid golfer. He enjoyed participating in and--helped create--the member guest tournament at the Champlain Country Club often playing with his sons. As a golfer, he won several Class A Championships and was instrumental in securing the funds to help develop and sustain the welfare of the course as well as make way for the additional nine holes. As a younger and older golfer, he was a prolific practicer and would constantly chip balls in the backyard, a pastime he continued into his advanced years. He played bridge regularly and also enjoyed crossword puzzles. He was a classic film buff, appreciating and recounting facts about many older films. He enjoyed the classic actors and actresses of past eras. Frank was a loyal Vermonter and St. Albans resident. He loved his hometown. He was most happy being with his family especially at Christmas time when he most enjoyed being home and sharing Christmas cheer and a cigar. Frank was blessed with the Irish charm and wit, offering his quotes and sayings freely to family and friends alike. Most impressively, Frank was a gentleman who was kind, considerate and respectful of others. Having suffered a stroke in 2015, he lost the ability to play golf and enjoy many of his pastimes, but he retained his kind and generous nature. He will be greatly and forever missed by his loving wife, Bess Horan of St. Albans, VT, his loving children; Mary Susan Smith of Strafford, NH; Brian Horan of Hartford, VT; James Horan of Wilton, CT, and grandchildren; Jade Austin, Riley Horan, Elena Smith and Julia Horan. Frank’s family will greet friends on Sunday, May 7th, 2017, from 5:00 to 7:00 PM at the Heald Funeral Home, 87 South Main Street, St. Albans. A Mass of Christian Burial will be celebrated on Monday, May 8th, at 11:00 A.M. in St. Mary’s Catholic Church, 45 Fairfield Street, St. Albans with the Reverend Maurice J. Roy as celebrant. Interment with military honors will follow at the Holy Cross Cemetery. As an alternative to flowers, Frank’s family suggests memorials to the BFA Alumni Scholarship Fund, c/o Shirley Raymond, 71 South Main Street, St. Albans, Vermont 05478 or Martha’s Kitchen, P.O. Box 1561, St. Albans, Vermont 05478. To send Frank’s family a written expression of sympathy, please go to his on-line guest book at www.healdfuneralhome.com.